Think back to when you were just 13 years old. Imagine your innocence. Now imagine that you were eternally “Damned” to Hell. 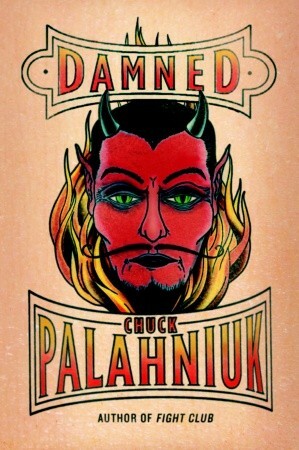 That’s exactly the case in Chuck Palahniuk’s newest novel, Damned: the book follows the story of 13-year-old Madison Spencer. Madison is dead, and wakes up in Hell after her apparent drug overdose. Among her fellow damned are a cheerleader, a football player, a nerd, and a Goth. Coincidentally, Madison is a huge fan of the movie The Breakfast Club, which includes similar archetypes. Throughout the gang’s exploration of Hell, Madison also talks to the reader about some of her past including the movie star mother and billionaire father who own several houses and can’t even pinpoint Madison’s exact age. Madison also discusses such topics as her boarding schools, her several adopted siblings and her self-consciousness with her pudgy appearance. Hell, as far as Palahniuk is concerned, is essentially another life, just a much different life. Among the damned are many recognizable names- Charles Darwin, for example -as being sent to Hell is actually very common. Coughing on a crowded airplane too many times or soiling a public pool, for example, are two ways to be cast into Hell forever. The reader will appreciate Palahniuk’s outlook on Hell, and his outlook on death itself. Palahniuk wrote the novel while coping with the death of his mother. The story itself is also enjoyable, and certainly unpredictable, although Palahniuk’s prose sometimes is far too descriptive and his character is a tad bit too pretentious, most of the book can keep the reader entertained whether the subject is Hell or Madison’s memories. Fans have also been excited about the fact that “Chuck is back” as they feel as though some of his latest works prior to Damned were lacking compared to his better books in Fight Club and Invisible Monsters. I agree with this viewpoint; Damned is his most versatile novel since Rant (2006). But this could very well be the most exciting element: it’s just part one. Palahniuk has written the entire trilogy, and although I feel it could have been condensed, I’m finding myself looking forward to the sequel. Damned will surely be able to engross readers into a sometimes relatable story of hope, insecurity, and of course, love.